London-based Noble Caledonia is primarily a tour operator, offering ocean and river cruises on small ships with a focus on off-the-beaten-track, adventurous cruises as well as itineraries of cultural interest. Alongside the wide portfolio of cruises offered, the company does have its own fleet of three small expedition ships and a long-term charter arrangement of the 100-passenger MS Serenissima. The structure of Noble Caledonia, which was founded in 1991, is slightly complicated. The three "Sky" expedition ships, Island Sky, Caledonian Sky and Hebridean Sky, belong to Gothenburg-based Salen Ship Management, which also has a stake in Noble Caledonia. The ships are on long-term charter to Noble but also go out on occasional short charters to other operators including Australian-owned APT (which in turn has a minority share in Noble Caledonia). Island Sky accommodates 114 passengers. Seven categories of cabins, spread across five passenger decks, range from standard suites (with portholes) to deluxe balcony suites and owner's balcony suites. Noble Caledonia's three Sky ships offer a comfortable, informal environment, with attractive lounges and a single restaurant offering open-seating dining. Passengers eat on the aft deck, too, in fine weather. A lot of money has been spent on the cabins, which are extraordinarily spacious, more like hotel rooms than typical ship staterooms. They feature plenty of polished wood, luxurious fabrics, marble bathrooms and extra seating areas. The emphasis is on gentle socialising in the bar and attending lectures in the lounge; there is no casino onboard, and evening entertainment is usually limited to a pianist after dinner. Sunbathing doesn't really feature, either; there isn't even a pool, although each ship has loungers on its open deck. Each ship, including Serenissima, carries a fleet of Zodiac inflatables for ferrying passengers ashore in remote anchorages. Noble Caledonia goes all out to create a convivial, house party atmosphere on each ship. Wine is included with dinner, and as most excursions are included in the prices, passengers spend a lot of time together, often forming firm friendships. Noble Caledonia sells almost exclusively to British passengers of a mature age, who are seeking an adventurous, culturally enriching cruise, train journey or escorted tour. Some passengers are from Australia and New Zealand, too. Most are couples, but cruises often include a smattering of singles and groups of friends. The house party atmosphere, with included tours and open-seating dining at mainly big tables, makes this an easy environment for singles. A lot of passengers are extremely loyal to Noble Caledonia and will switch between a variety of holidays, including river cruises, ocean cruises and land tours. They consider the destination more important than the accommodation and would label themselves travelers, rather than cruisers. The guest speakers (who offer themes relevant to the area in which the ship is sailing), the included tours and the culturally enriching itineraries are important to them; they see cruises as voyages of discovery, rather than lazy holidays. Noble Caledonia's cruises are not suitable for families with young children -- and similarly, anybody looking for nightlife, lavish entertainment and sophisticated spas should probably try another cruise line. The company has a loyalty club, the Commodore Club, offering 5 percent discounts on future cruises, among other benefits. 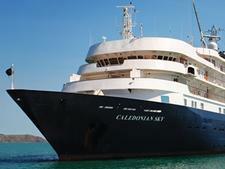 The 4,280-ton, 114-passenger Island Sky and Caledonian Sky and the 118-passenger Hebridean Sky were built as sister Renaissance-class ships in the early 1990s for Renaissance Cruises, part of a series of eight small, yacht-like vessels. Noble Caledonia acquired Island Sky, formerly Renaissance VIII, in 2010 after chartering it for a few years and immediately spent several million pounds turning it into a comfortable but elegant boutique ship. In 2011, a second ship was acquired. 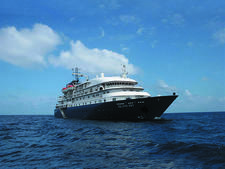 Built as Renaissance VI (and subsequently sailing for Hebridean Island Cruises as Hebridean Spirit before it was sold to a private investor) it joined the company as Caledonian Sky in spring 2012, having undergone a refit similar to that of its sister to bring it up to Noble Caledonia's exacting standards. The company then acquired the original Renaissance VII in 2015 and gave it a similar refit, relaunching it as Hebridean Sky in 2016. Serenissima is a different story; it belongs to the Russian-owned Volga Dream and is different in style; less "British", more private yacht, more homely than the Sky ships but with a very loyal following. Noble Caledonia prides itself on its unusual itineraries to remote parts of the world. Greenland, the White Sea (the Russian Arctic), Cuba, Ecuador, the Chilean fjords, Easter Island, New Zealand and Fiji are typical destinations, although cruises also operate in the Mediterranean, focusing on more cultural spots like Lebanon, Sicily and the smaller Greek Islands, and around Britain and in the Baltic. 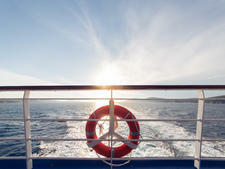 Guest speakers are carried on every cruise and travel with passengers on tour. Most excursions are included, making these itineraries fairly intensive.